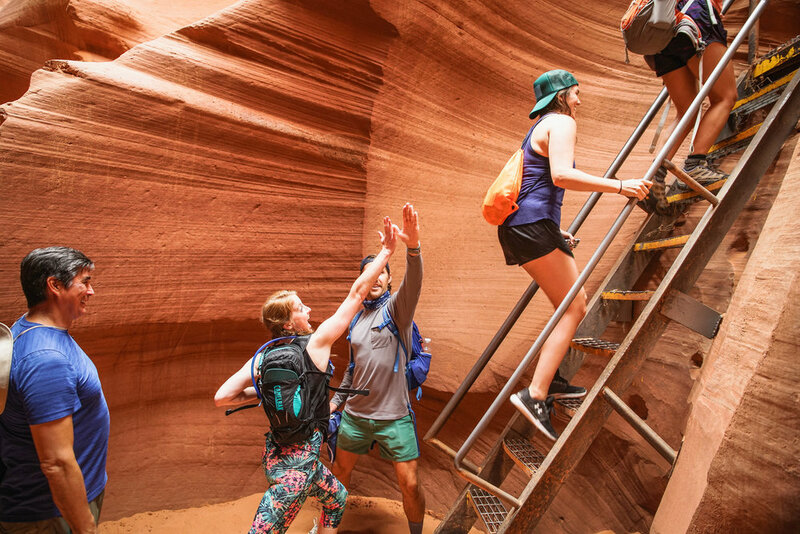 Join us for our National Park Tour, a five-day adventure through the Grand Canyon, Zion National Park, Antelope Canyon and Lake Powell. Skip town, meet new friends, and surround yourself with utter beauty provided by nature! Must be 21 to join. This is a jam-packed experience that will have you constantly on the go. You'll get to scratch off Zion National Park, Grand Canyon, Antelope Canyon and Lake Powell from your bucket list. If you need further convincing on the raw beauty of these places, check out the photos above. 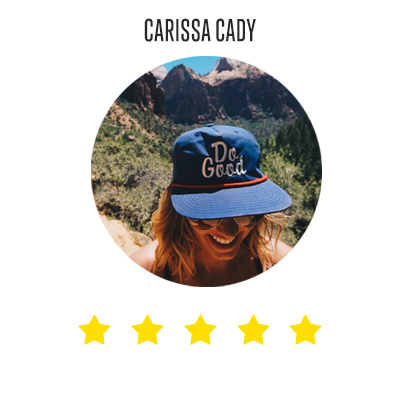 We like to add a bit more meaning to our experiences because it feels good to do good. We'll kick off the trip with a volunteer project in Las Vegas and spend a morning doing good with the National Park Service. This experience will have you hiking, cliff-jumping (not required), hot-tubbing, and hanging out with a bunch of awesome folks! I joined Have Fun Do Good's National Park tour after wanting to visit Zion for years, and I'm so happy I went! The entire trip was planned perfectly, and everyone that I met was amazing (as expected). The trip had a perfect balance of volunteering, incredible hikes, and time to relax/hang out with the group. Already told my friends about this and can't wait to go on more trips in the future! Thanks, Adam and Ben! I was going on the trip alone, which can be both exciting and a little intimidating. I am happy to report that the trip was an amazing experience. The locations we visited were amazing and the whole experience left me wanting to join them on another trip. It was also nice to partner with an organization that understands the value in service to others over self. If you are on the fence about joining them, get over your fears and go. You won't regret it! What's the National Park Tour look like? This video sums it up pretty darn good from the eyes of a participant. We'll meet at 11am and kick off our trip with a "do good" project. After that, kick back and enjoy the views as we cruise through Zion National Park en route to our amazing accommodations. We'll spend the morning with the National Park Service. You'll get to work alongside the park rangers and get a glimpse into their world. 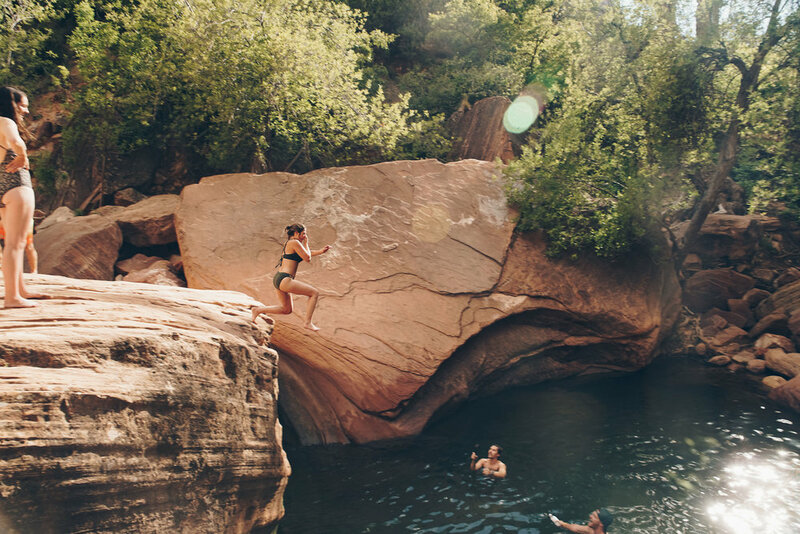 We'll cool down in our favorite "secret" swimming hole with some refreshing beers (if you're into that). Ready for some epic views? 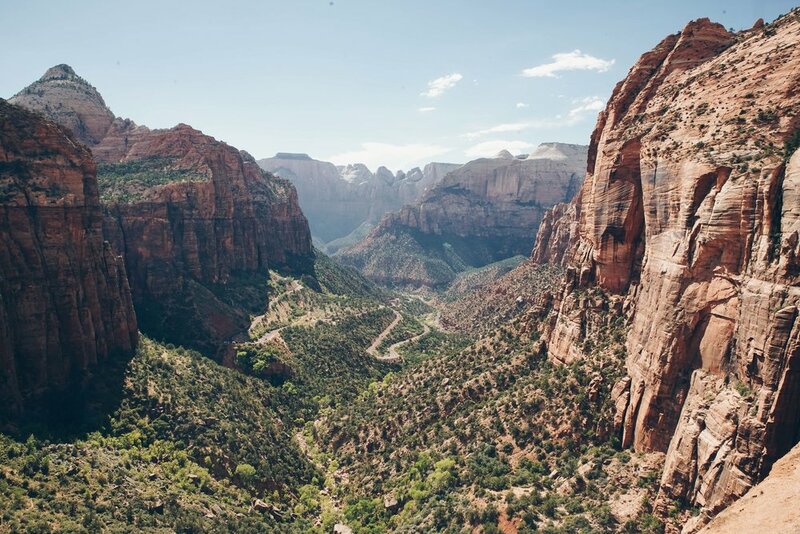 We'll spend the day doing two hikes in Zion National Park. The activity level is a 2.5 / 5. You should feel comfortable walking around 5 miles. Don't worry...you don't need to train for these hikes. Spend the evening enjoying a sunset, smores, hot-tub and drinks. Hope you're cool with seeing a lot! We'll kick off the morning with a tour of Antelope Canyon. You'll get a chance to cool off in Lake Powell before we drive to the Grand Canyon. We'll end the day with a group dinner in Flagstaff, AZ where you can reminisce with everyone about your epic day! Drive from Flagstaff, AZ to Las Vegas, NV. Say Goodbye. Plan your next HFDG trip! HOW MUCH? : $1249 - pay in full or break it into 2 payments | you must go through checkout to see payment plan option. Great question. We've kept our accommodations on the DL in the past because we thought it made for a good surprise, but someone on our last trip said "y'all need to talk those up more." We made our own MTV Cribs video last year if you wanna get a feel for the accommodations. This years place is even better! why travel with have fun do good? Think you're better off on your own for this 5 day experience?